>As a regular traveller to Morocco I am still amazed by the enormous diversity that Marrakech offers when one considers that it is less than three and a half hours away by plane. The main square of D’ jemaa-el-Fna (pictured above) surrounded by its endless labyrinth of souks (bazaars) is well documented and conjures up visions of snake charmers, acrobats, sooth-sayers, musicians, food stalls and the like. 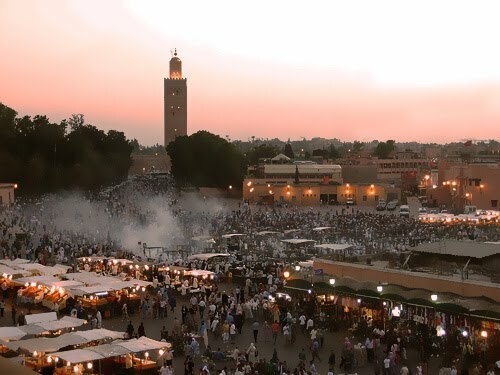 Fascinating, it certainly is and especially when the sun is starting to set and the rich abundance of gastronomic flavours fill the air, trapped in plumes of smoke and steam to give the Djemaa-el-Fna its twilight eeriness, a mesmerising quality I have found nowhere else. As the evening darkens, the hustle bustle of activity rages on. The exotic music appears louder and more hypnotic. The Shaman display their apocotheries and cures, both living and dead, which always begs the question “how does one apply such a thing”? A fine example is the Black Scorpion trapped inside a jam-jar. “It’s for haemorrhoids” I am informed. “well… um.. if I had Piles…. How would I apply it”? Seemed a suitable response. “I suggest you kill it first” Came the logical answer! Directly south of the Jemaa-el-Fna is Rue Bab Agnaou. 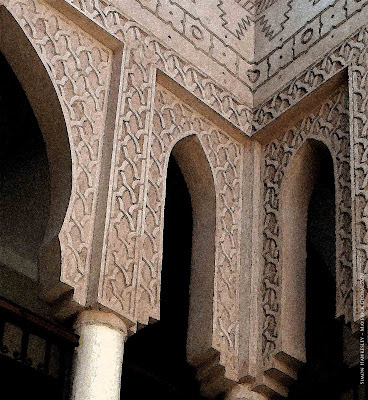 A five minute walk takes you straight to the famous Bab Aganou entrance to the Kasbah district of the Medina. For my family…. We do enjoy the D’Jemma el-Fna and it’s cacophony of exotic wonders but would not want to be immersed in it 24/7 during our stay. 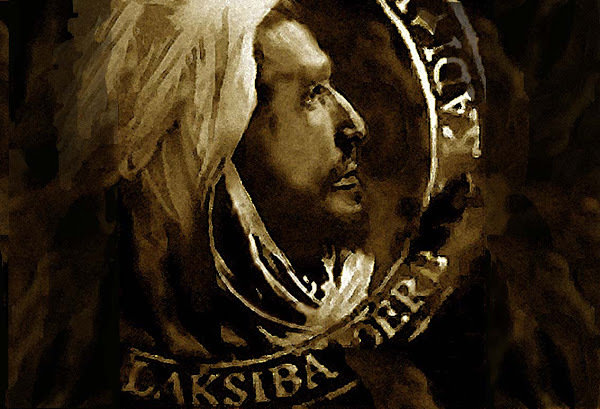 The Kasbah is “not too far…. from the madding crowd” but a short peripheral distance away to enjoy… then retreat.. to some semblance of tranquillity. 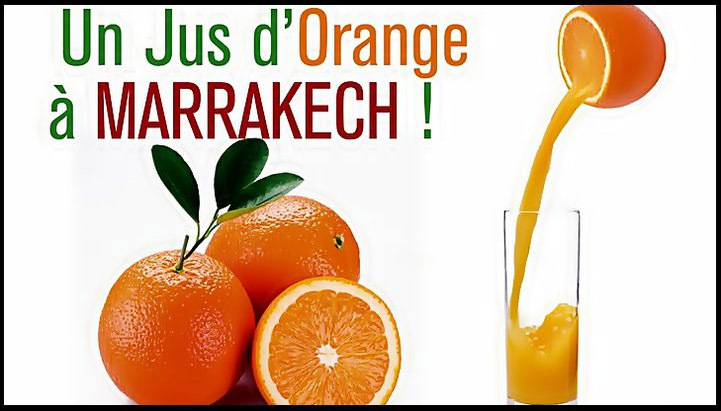 The Mystique of Marrakech does not stop at the D’Jemma el-Fna. 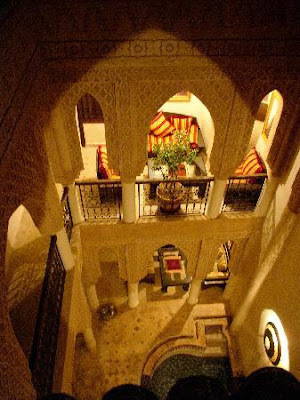 Many people had booked or were planning to book a stay in Marrakesh. Suddenly, due to the criminal blast, some are hesitating to come and others have already cancelled. Who is coming to Marrakesh ? Entire families who want to take advantage of special packages? Individuals who found a low cost flight ticket? Others looking for a sence of Adventure? The purposes vary, but lot’s of them just come to have fun, some decently, others… less…..
Today, whilst in the process of making a decision, it is important not to panic and succumb to media hype. We should not forget that London, Paris, New York and many other cities are still possible targets of extremist. Consider: How often in European, Caribbean and Asian, resorts & cities, one reads of road accidents; or a jogger or a subway passenger being mugged, people attacked, children abducted, tourists raped, murdered. The point being made is that regular destinations, in the west, do not necessarily make them safer, to tourism in Marrakesh. Today, Marrakesh safety is not less than before; it is also not a “war-like” situation. On the contrary, security deployment is tighter. Activities go on, it is Business as Usual. In modern times we know there is no country, in the world, where security, put in place, offers 100% safety to it’s inhabitants. 7th & 8th May 2011…. Thousands descend on the Jemma el-Fna in support of the Argana Cafe Victims. Will a potential visitor treat Marrakesh; simply “as a product” and drop it ? Or will he come because it suits his budget, his wander lust, his list of cities to see in his lifetime, his return from his past experience, the fulfilment of his desire to always visit Marrakech but be more vigilant? As vigilant as he should be in any other City or Resort nowadays….